Whilst many marine consultancy companies are able to produce models of the wave climate, the majority of these consultancies lack specialist knowledge of wave energy technologies. 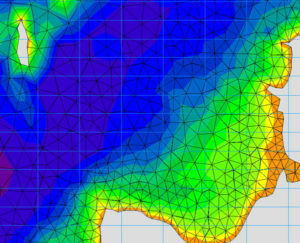 Consequently, the resource assessment is often inadequate for a full analysis of a wave energy technology or project. A resource assessment for a wave energy converter should ideally follow the IEC Technical Specification for Wave Energy Resource Assessment and Characterisation (IEC TS 62600-101:2015). ARR is fully aware of the requirements for this standard as Dr Folley (an ARR director) is chair of the IEC committee responsible for producing the standard.